WASHINGTON COUNTY – The Oak Grove Fire continues to burn Wednesday morning as fire managers await the arrival of additional firefighting resources. The lightning-caused Oak Groves Fire was ignited Tuesday morning and is estimated to have grown to 300 acres as of Tuesday night and remains zero percent contained. 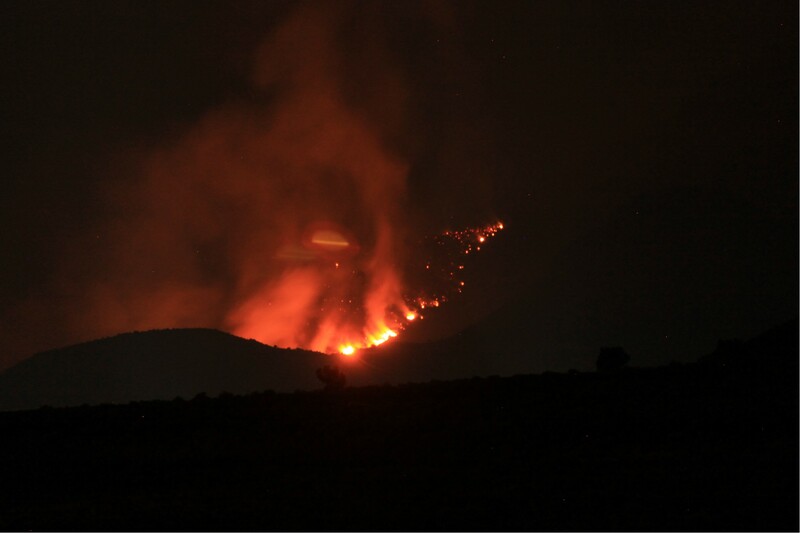 The fire is located within the Pine Valley Wilderness and is three miles southeast of Oak Grove Campground in the Dixie National Forest. Management of the fire was handed over to a Type 3 management team with the Color Country Interagency Tuesday night as well. Firefighters have yet to be put on the ground to directly combat the fire due to safety concerns, as it is burning in steep and rocky terrain. 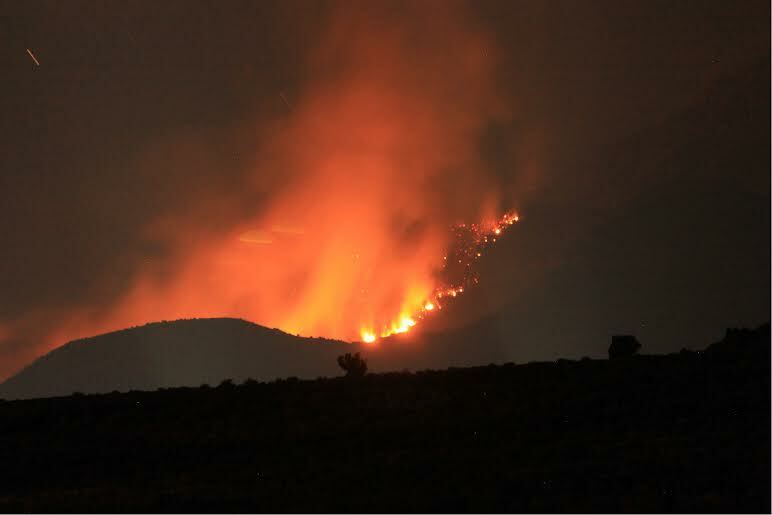 While there is no imminent threat to persons or structures in the area, fire managers are keeping an eye on the situation due to the Pine Valley Wilderness being an area that provides water to St. George and other cities. “The objective is to contain the fire quickly to protect the municipal watershed,” Ranger Joe Rechsteiner, of the Pine Valley District, said in a statement Tuesday. There have been no major updates to the fire as of Wednesday morning, said Marcia Giles, Dixie National Forest public information officer. Fire managers are currently in an information-gathering phase and are awaiting the arrival of two hotshot crews and two helicopters that are anticipated to arrive sometime Wednesday. Once that is done, Giles said officials will begin to have a better idea of the overall size and state of the Oak Grove Fire. Currently, Forest Service road no. 032 (also known as the Danish Ranch road) is closed, as is the Oak Grove Campground. The campground was evacuated Tuesday as a precaution. Weather forecast shows a high pressure system over the area with an increase in temperatures and dry conditions. Local resources on scene include four engines from Forest Service, Utah Division of Forestry, Fire and State Lands Bureau of Land Management and Leeds Fire Department.